« On your marks….get set….Go!….Again! 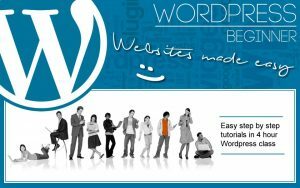 Step by step through the basics of building your own website using WordPress. We are offering two one-day classes which can be booked separately or together. Each day is based on a series of short tutorials. On the first day tutor Arnis Ardibans will provide a general introduction and the basics of website design, while the second will involve mainly one-on-one sessions. This will enable you to build and manage your own personal website – or improve existing skills. Whether you are a complete beginner or just wishing to brush up your skills in social media and marketing these courses have something for you. Choosing domain name and hosting provider, best practices on options. Choosing or building look and functionality with various themes and plugins. Basic page/post/product creation and optimization for search engines and social networks. Simple steps to begin selling your products or services with your website. Social media marketing campaign ideas and ways to drive sales on website.